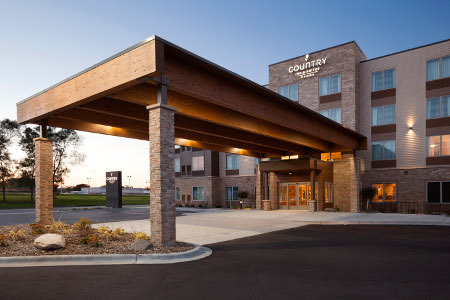 Whether you’re doing business in St. Paul or Minneapolis, the Country Inn & Suites® by Radisson, Roseville, MN gives you quick access to both cities. 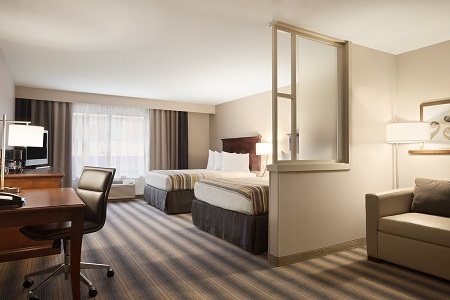 From the hotel, you can easily reach U.S. Bank Stadium, the Xcel Energy Center and the University of Minnesota St. Paul and Minneapolis campuses within 16 minutes. 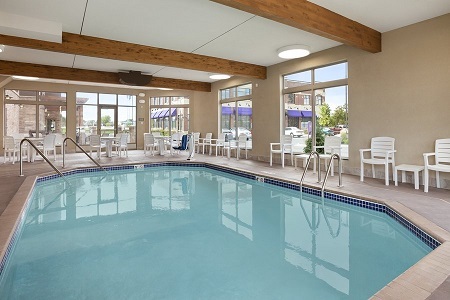 Need more room for your family or colleagues? Book a Two-queen Studio Suite, complete with all standard amenities as well as a seating area with a full-size sleeper sofa and an extra TV. Wake up to Belgian waffles, scrambled eggs, sausage links and fresh fruit at our complimentary, hot breakfast. 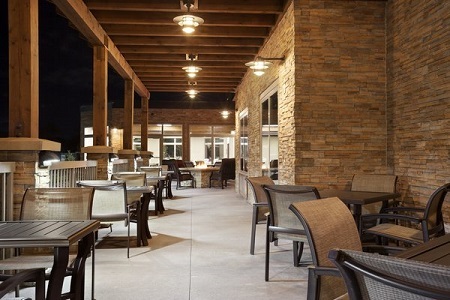 Enjoy a cup of freshly brewed coffee with your meal in the dining room or on the patio. For lunch and dinner, choose from a variety of nearby restaurants like Grumpy’s Bar & Grill. This Roseville favorite serves brick-fired pizzas and dedicates an entire section of the menu to its famous tater tots. You can also walk to eateries like New Bohemia and Khan's Mongolian Barbecue. Como Park Zoo & Conservatory – Stuck in the office all day? Get some fresh air at the Como Park Zoo & Conservatory, located less than four miles from the hotel. This expansive facility is home to a wide array of animals and gardens, and is one of the last complimentary zoos in the country. Mall of America – One of the most-visited destinations in the world, Mall of America has something for everyone and is situated only half an hour away from our hotel. Shop at more than 500 stores, choose from 50 restaurants, and let the kids loose at Nickelodeon Universe®, the largest indoor theme park in the U.S.
Minnesota Children’s Museum – Let your kids’ imaginations run wild at the Minnesota Children’s Museum. Located just 10 miles from the hotel, the museum features hands-on exhibits like the Surprise Room, filled with huge foam wheels, tubes and other shapes that children can use to build anything they can dream into existence. Plan a presentation or strategy session in our meeting space with free Wi-Fi and audiovisual equipment. You can ask our friendly sales team for a variety of off-site catering recommendations to ensure your attendees stay energized for your gathering. 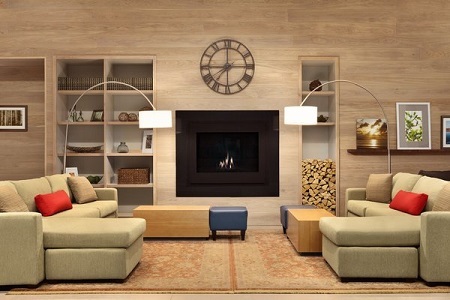 If you’re a state government employee, ask about our special rates when you host an event at the hotel or stay overnight.